Congrats guys and happy to say we knew you when (Spotlight: LA Tech Demo Company) and taking part in the first ever and some of the most EPIC TechZulu #TechCrawl’s. 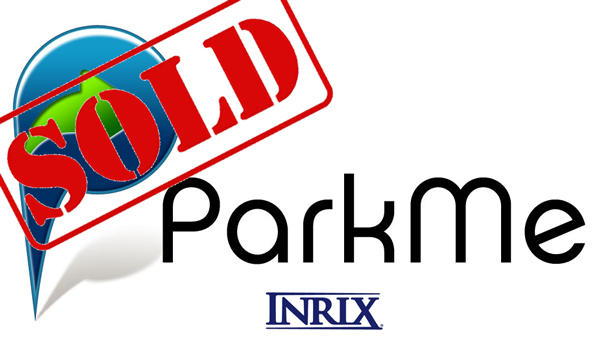 INRIX a leading provider of real-time traffic information and connected driving services worldwide, announced it has completed the acquisition of ParkMe, a Santa Monica, CA company that helps consumers find parking, make reservations and mobile payments worldwide. This deal makes INRIX the preferred provider of parking information and services to leading automakers, transportation agencies and drivers around the world. In expanding the company’s data aggregation and industry expertise, the acquisition helps INRIX more rapidly deliver a comprehensive set of parking services, including finding, comparing, reserving, and paying for parking from a smartphone or vehicle. With these expanded capabilities, the acquisition further solidifies the company’s leadership as it expands the breadth and depth of the parking services it offers to Audi, BMW and Lexus, among others. With more than 400 customers in 42 countries, INRIX is the preferred provider of driving intelligence to leading automakers and transportation agencies including Audi, BMW, Toyota, more than 60 U.S. Departments of Transportation, the U.K. Highways Agency and the Denmark Road Authority. In a smart parking market growing at 28 percent annually and expected to be worth more than $3 billion over the next decade, ParkMe has built the world’s most comprehensive parking database that includes more than 29 million spaces in 84,184 locations spanning 3,232 cities in 64 countries. ParkMe provides drivers with the ability to find on- and off-street parking, reserve a space as well as pay for parking either through a mobile app or directly from the owner’s vehicle. The company’s products join a rapidly growing suite of INRIX services that help drivers fight congestion, simplify navigation, find fuel and travel safely. ParkMe will continue to operate from its office in Santa Monica, CA. The ParkMe brand and mobile applications will continue and there will be no service interruptions for existing ParkMe consumer and enterprise customers. Terms of the deal are not being disclosed.